Aug. 17, 2017, 12:02 p.m.
MuleSoft gained lots of tractions over the last 2 years in Australia. It is remarkable to see the change of interests over time for each integration technology. MuleSoft keeps gaining popularity and there are good reasons for that. Many traditional integration platform vendors refused or failed to adapt/innovate themselves to support API-led connectivity which most of modern integration scenario requires. 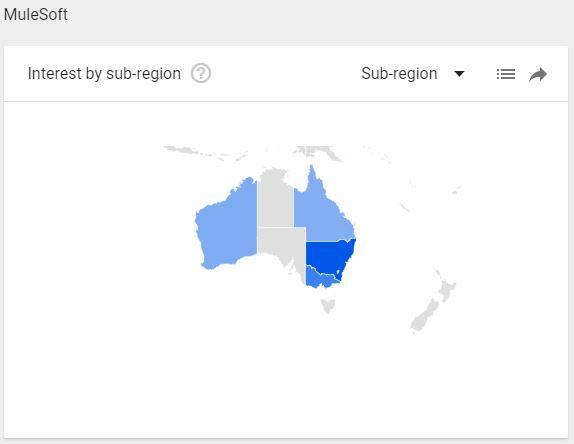 Like anything else in Australia, the interests to MuleSoft are mainly coming from NSW. However, WA is picking up! 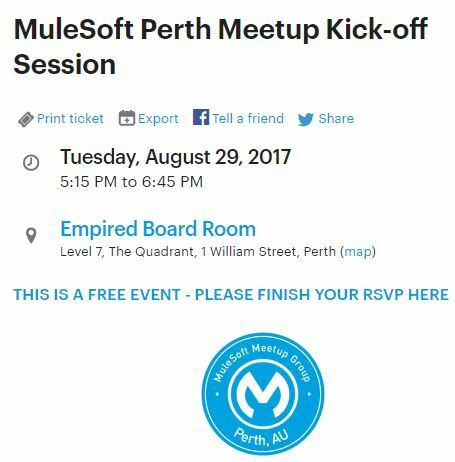 The first MuleSoft meetup is kicking off on 29th August. If you have any interest in hottest integration technology in town, this is the opportunity to learn and grow together with like-minded people.